Did you know there are 28 different kinds of calcium? Our Green Calcium formula contains ten different herbs to get a larger spectrum of those calciums for the body to absorb. When the body is short on calcium, it knows it can make up the difference by robbing from the bones. This is brilliant because calcium is essential to many processes in the body including, hormone regulation, nerve transmissions, muscle contraction, and helps certain enzymes to function. The problem is when calcium is repeatedly taken from the bones, they can become weak and brittle. 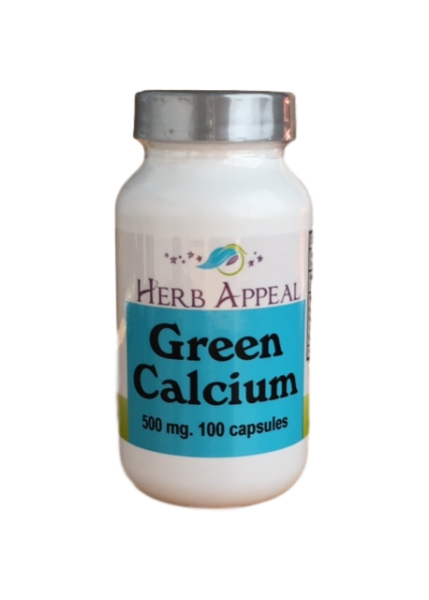 Our Green Calcium is all herbal, and therefore readily available for the body to absorb.